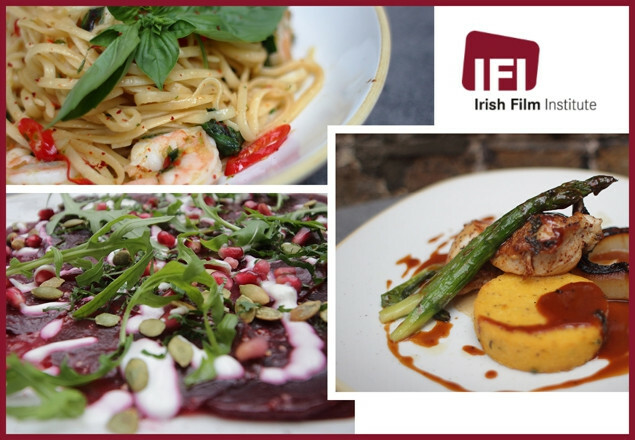 Enjoy a night at the IFI with 2 cinema tickets, two main courses at the IFI Café Bar & two annual IFI Memberships which includes free previews, discounts and a free ticket for a full year! Enjoy a full night of entertainment at the IFI for you and a guest and attend any film of your choice from its programme, together with a delicious meal at the IFI Café Bar, where you can choose any two main courses from its new Summer menu, like a fresh and zingy Linguine with Garlic Chili Prawns, or Chicken Supreme with Polenta Fritter and Tarragon Jus. An oasis in the heart of Temple Bar, the IFI Café Bar is a haven for film foodies from far and wide. With a host of high quality yet affordable options from its lunch and dinner menus; and an outdoor terrace to soak in the sun and relax over a craft beer or cocktail, it is truly a place where people can unwind. Check out its extensive menu here. This offer can be redeemed at the Irish Film Institute in person only. Offer not available online or by phone.